PFK Electronics was established in Durban, South Africa, in 1985 and has regional sales offices in South Africa, the UK and Sweden. PFK exports around two thirds of its products via a network of dedicated global distributors in over 25 countries. For more than 20 years Autowatch Vehicle Security Systems have enjoyed a 70% share of the South African VSS aftermarket. Autowatch Telematics, focusses not only on vehicle tracking and stolen vehicle recovery, but Driver Behaviour Profiling, Fleet Management and Insurance Telematics. Lastly, Autowatch Interlock provides tethered and wireless alcohol breathalyser interlock devices which are approved and sold throughout Europe (particularly in Sweden and France) and into the offender market in the USA. 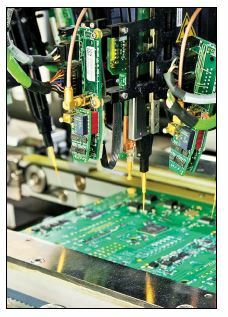 PFK is the largest automotive electronics manufacturing company in South Africa capable of placing over 200 000 components an hour. It is an approved supplier to the main OE vehicle manufacturing companies such as Ford, General Motors, Isuzu, Lotus, Nissan and VW. It offers design expertise and products in the fields of vehicle security, CANBus interfaces, interlocks, insurance telematics and fleet management including video. PFK also owns its own recovery company, PFK Recovery Services, which is based in Cape Town. PFK has been successful because it treats its customers and partners with respect, forming strong relationships. Values and passion are important to the company and underpin its daily activities. standards, and PFK is IPC 610 and VDA-6.3 compliant. This is a demonstration to PFK's commitment to quality. 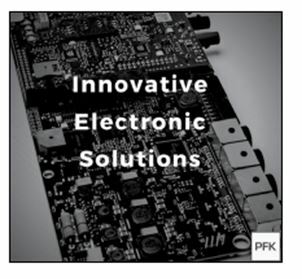 At the heart of PFK's innovation and passion is a team of 50 engineers and technicians. Technology changes rapidly and innovations enable our customers and ourselves to stay ahead. The theme of the WEF (World Economic Forum) this year at Davos was around the Ubiquitous Internet of Things (IOT) which is considered to be the Fifth Industrial Revolution. The Internet of Things is going to be part of our everyday lives at home and in business and PFK intends to be in the forefront of this revolution underpinned by our world class manufacturing facility, existing technologies, products and customers.  Hunger alleviation through food drives and collections partnering with Reach Out with Love. Customer Base: Original Equipment Manufacturers (OEMs), Aftermarket, Fleet and Freight companies, Public Transport, Insurance Telematics, Private Vehicle Owners. Interlocks are supplied into the offender market in the USA and into public transport in Europe. Auditors / Accountants: PricewaterhouseCoopers Inc.
PFK's acquisition of PI Shurlok makes industry news.